Holiday mornings are now made more delicious as McDonald’s gives Pinoys more reasons to wake up and spread the holiday cheer with the new McGriddles. Available starting November 19, Filipinos would surely love McGriddles made of soft, warm griddle cakes with the sweet taste of maple syrup baked right in, customers will definitely say “hooray for today!” when they taste this delectable treat. 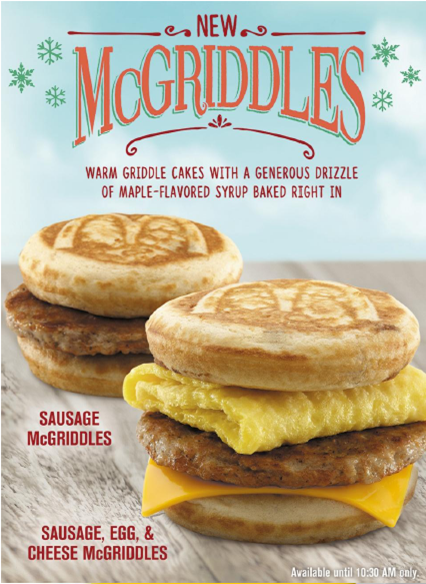 Available in two variants Sausage McGriddles and Sausage, Egg and Cheese McGriddles this breakfast option is made up of only the finest ingredients including savory sausage, fluffy folded scrambled egg, and melty American cheese. Available for a limited time only, customers can indulge in this newest breakfast option through dine-in, take-out, drive-thru, and McDelivery from 4:00 AM to 10:30 AM in all McDonald’s breakfast stores nationwide.